Posted on Tuesday, November 28th, 2017 at 7:01 pm. 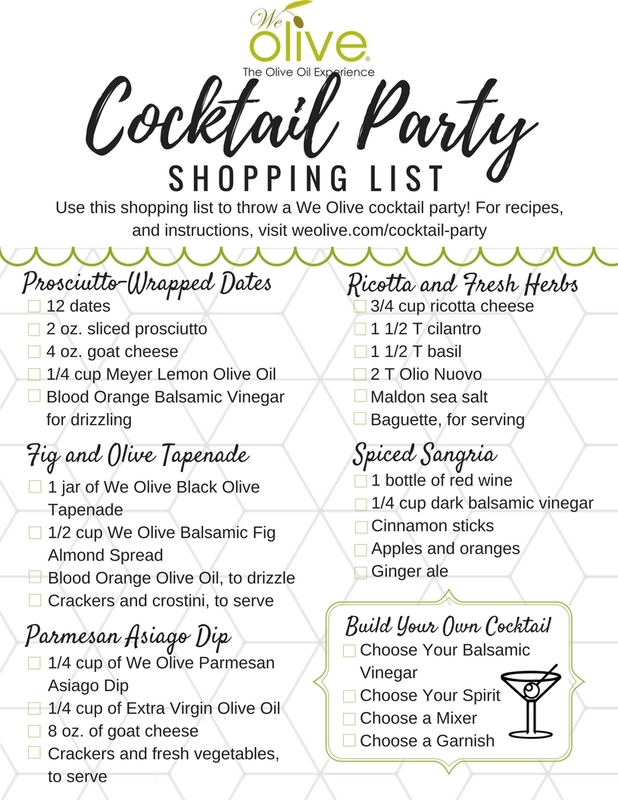 Make entertaining a snap with a our We Olive Cocktail Party menu and shopping list. 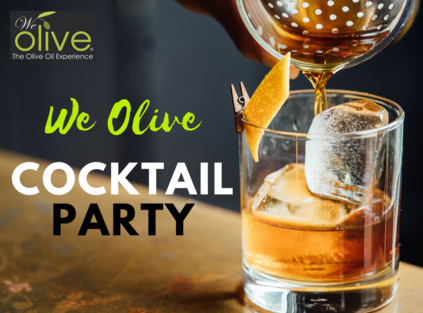 All of the recipes come together quickly and the cocktails are infinitely adaptable based on your favorite flavors and the season. Download a PDF of the shopping list here.